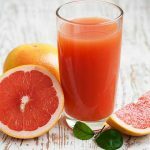 In order to combat with anemia and obtain stamina for the rest of the day it is advised to consume these juices, can also be taken with altered multiple shots. 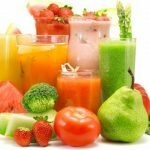 In this article, we will share you healthy juices for anemia. Anemia has a condition that occurs when there is a decrease in levels of red blood cells and hemoglobin in blood. This leads in development of other health problems such as reducing the capacity to carry oxygen from the lungs to other body tissues. As a result, the person feels fatigued, weak and hard to achieve perfect concentration. In addition, usually it has pale skin and thinning hair and nails. To accelerate the recovery of this disease it is important to increase consumption of foods rich in iron. 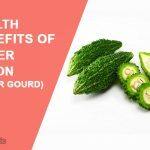 This rich mineral is responsible to increase the number of red blood cells and restore all functions that are affected by the deficiency. This treatment can support with a series of natural juices that provide important nutrients. Parsley is a herb whose properties have been good in alternative medicine and cuisine. It contains a lot of iron, vitamins and antioxidants that promote detoxification of the body. 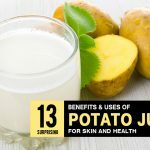 Note that this juice has the best flavor but for its benefits, it is worth preparing. 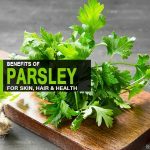 Take handful of parsley, wash well and cut into several pieces. Add it in blender and add freshly squeezed lemon juice and water. Process for a few moments until parsley grained and smoothened into paste. Consume immediately, preferably on empty stomach. Beet is a vegetable with a rich content of iron, suitable against the symptoms of anemia. Energizing its power of fatigue and fighting nutrients for relieving hair and nail weakness. Cut the beets and carrots into pieces and put them in the blender jar. Add the glass of water and a teaspoon of brewer’s yeast and processes everything for a moment. After obtaining a homogeneous and smooth, serve it and consume it as instantly drink. This delicious juice contains not only iron but also fiber and antioxidant that compounds help cleanses the blood internally. Thoroughly wash blackberries and strawberries before putting them in the blender jar. Cut the apple into pieces and add it to the other ingredients. Do not forget to withdraw the seeds. Add half glass of water to facilitate liquid and processes for a couple of minutes. Do this process at night and take it in the morning. Juice of radishes and cress is low calorie drink that can be included in your diet to prevent and control anemia discomforts such as weakness and fatigue. Wash the vegetables and pass them through a juicer. Pictures tagged with a glass of water and drink resulting to you in consuming faster. 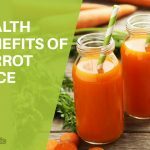 Carrots and watercress provide a lot of fiber, vitamins and minerals that revitalize the body. Regular consumption of juices prevents you from anemia and helps improve physical and mental performance to energy slumps. Chop the vegetables and put them in the blender along with a glass of water. After obtaining a homogeneous drink serve or consume it in the shortest time possible. You can take up to two glasses a day. This vegetable juice contains vitamins and minerals that enhance the body resisting from difficulties such as chronic fatigue and anemia. Wash all the ingredients, cut them into pieces and carry them into the blender along with water. After processing at high speed for a few minutes until achieve a smooth drink. Serve freshly juice made and consume in fasting. You can choose any of these recipes to complement your treatment for the symptoms of anemia. However, keep in mind that do not serve as replacement medications or advice prescribed by the doctor. In order to combat with anemia and obtain stamina for the rest of the day it is advised to consume these juices. Here we share healthy juices for anemia.